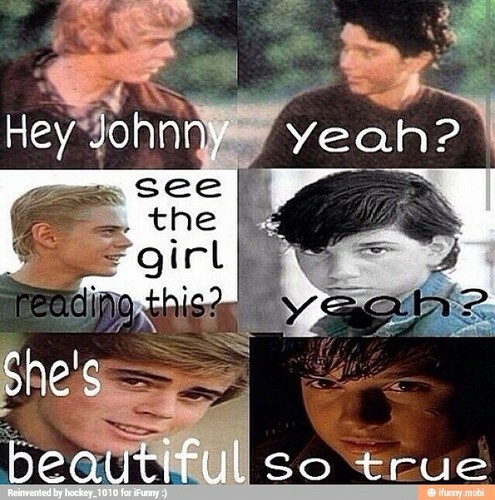 Ponyboy and Johnny Conversation(This one's for you, PonygirlCurtis7!). . Wallpaper and background images in the The Outsiders club tagged: photo. This The Outsiders photo contains portret, headshot, and close-up.